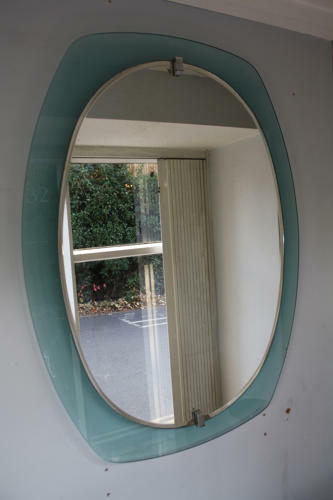 A good sized blue/grey glass edged Italian mirrors by Vecca. (Label to reverse) Can be hung portrait or landscape. Some aging to mirror glass which does not detract from reflection and consistent with age. Italian c1960.